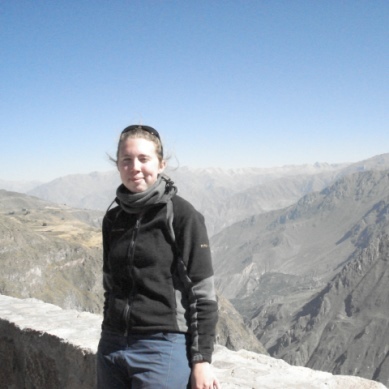 I interviewed Harriet Rawson, a second year DPhil student, sitting in her office surrounded by 200 kilos of volcanic rock, to find out more about her DPhil project, researching the volcanoes of Southern Chile. What made you apply to Oxford? As an undergraduate at Cambridge, I had enjoyed the wide range of the Natural Sciences tripos, most particularly my 4th year project in volcanic degassing. I had worked in Chile before, and it was obvious that there was a lot more scope there for exploring fundamental questions. David Pyle’s research group is quite large, and he has a good reputation as a supervisor. My project follows on from a paper by Seb Watts (Worcester 2006) and ties in to work by fellow student Stefan Lacyowicz (St Edmund Hall 2006, Univ 2010) and postdoc Karin Fontjin who study in different parts of the region. What does your DPhil involve? I am studying a mountain called Mocho Choshuenco, which is a snow-capped compound stratovolcano in the Huilo-Huilo Natural Reserve in the Andes in Chile. The volcano has been dormant since its last big eruption in 1864. I have taken samples of lava, pumices, ash and other explosive products, and use tephrachronology to determine the nature and spread of past eruptions, mapping outcrops and analysing samples to identify different layers. Back in the lab, we use an Electron Probe to identify samples and therefore determine which eruption the deposits came from and what impact that eruption had on the local area. The project allows me to explore the problems from start to finish – taking samples in the field, conducting analysis on those samples and drawing my own conclusions. It’s very rewarding to be involved in all the various stages. What is the impact of your project on scientific and local communities? Although the area is relatively sparsely populated, another big eruption could have profound consequences. The volcano is in a volcanic arc in Southern Chile, which lies close to two active faulting zones – the subduction zone of the southern Pacific plate, and a strike slip fault line in Central Chile. There is much debate about whether the volcanic activity is connected to tectonic pressures. In 1960 an earthquake in the region caused river damming and lake formation due to lava flow, and so we suspect that something similar could happen if the volcano were to become active again. The local population is small, but the potential for downstream impact is much larger. We are therefore working with the local museum and tour guides in the reserve to educate them and visitors to the area about the volcano. What has been the highlight of your DPhil so far? I feel so lucky to have been able to go out to South America to study this particular volcano for 3 months in my first year and 2 months this year. It’s in a beautiful region – we camp on the edge of the park, beside a glacial spring, cook our own meals and live a hardworking but rewarding life! I have also been able to get to know the local people. It’s wonderful to have such freedom to explore your own questions and follow through to your own conclusions. Very liberating! Harriet was interviewed in 2013 for the alumni magazine.